A very bold and almost heroic act by Shmuel Moreh, challenging the omnipresent belief that the roots of the theatre among the Arabs are to be found in the West...Professor Moreh extends the horizon of our knowledge and illuminates it with thoroughly researched material. There has long been confusion among Arab and Occidental scholars concerning various types of medieval theatrical performances and mime. By translating certain theatrical terms to denote shadow plays, rather than live plays, scholars have misunderstood the foundations of Arabic theatre. This confusion has contributed to the widespread belief that Arabs had no live theatre in the Middle Ages, and that modern Arab theatre is simply a European transplant. 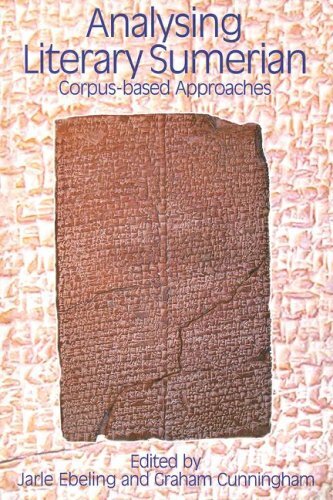 This exciting book uses detailed and scholarly research of impressive originality to prove that the pre-modern Arab world did have a tradition of live theatrical performance, not just one of shadow plays. Moreh illustrates how this cultural richness contributed to the formation of modern Arabic theatre. Covering a wide range of periods and cultures--from the ninth to the nineteenth centuries; from Greek, Jewish, Andalusian and Syriac influences--this work shows that Arab medieval theatre developed independently from European theatre. This is a book that will not only provide a wealth of new insights into the performing arts in the Middle East in general, but will restore a proper perspective on the scope and origins of Arab theatre. 9. 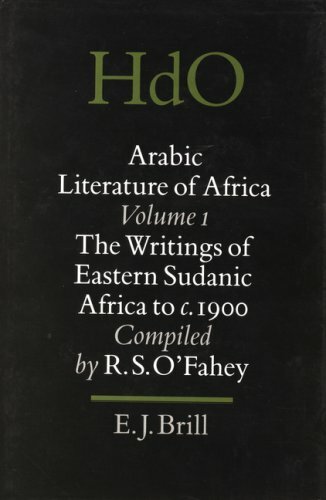 Arabic and Islamic Studies in Honor of Hamilton A. R. Gibb. 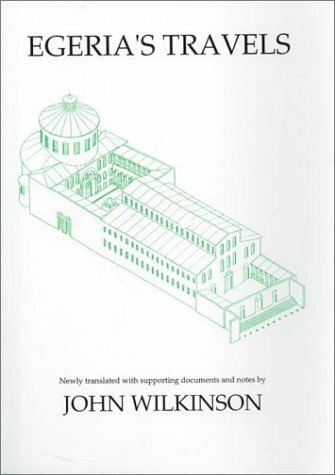 John Wilkinson's translation of "Egeria's Travels" provides a thorough account of Egeria's 4th century pilgrimage to the Holy Land. The travelogue is addressed to Egeria's contemporaries, likely nuns or learned women, who can follow along with the pilgrimage in spirit. Accordingly, Egeria documents the physical and spiritual aspects of her pilgrimage, noting routes and staging posts, but also liturgical details. A close inspection of "Egeria's Travels" reveals how her sense of the land is shaped by Biblical history, and how the Bible serves as a marker of authenticity for the sites that she visits. Egeria's tendency to link scripture with place is evidenced in her visit to Capernaum, which she describes as "[where] the house of the prince of the apostles has been made into a church, with its original walls still standing. It is where the Lord healed the paralytic" (97).Because the original walls are still standing, and these walls are mentioned in the Bible, Egeria is satisfied in the authenticity of the site. Egeria's linkage between scripture and place also extends to geographical sites. For instance, after describing Capernaum Egeria writes, "And this is the field where the Lord fed the people with the five loaves and the two fishes" (97-98). In this way, Egeria makes geographical features become distinct and infused with meaning, as the land is shaped by her sense of the multiplication miracle. The original landscape is now seen through an emotional lens because of this Biblical connection. All in all, Egeria's writings offer a detailed travelogue, but more importantly show how the pilgrim's sense of the land is formed by Biblical history. In studying pilgrimage, we must realize that sites of pilgrimage have been selectively identified and infused with meaning based on historical accounts, the marker, and the pilgrim's belief in the marker.